As many of you are probably doing right now, I too chuckled when I saw the cover art for this album. Yes, the band's name is Unicorn, and they are playing power metal. Hey, there is one good thing about naming the band Unicorn: the word "dragon" does not appear in the name! Ha. Well, I thought this was going to be yet another cliché filled, heard it before power metal album that I would listen to enough times to write a coherent review, and then collect dust on my shelf. Much to my delight, this debut album from Unicorn is very good, and it has stayed in my listening rotation for a solid month now. Don't let the name of the band fool you, these guys have something good going here. Unicorn is a four piece band from Italy, and they play power metal spruced up with some wonderful symphonic arrangements. This is one the better bands that I've heard in recent years hailing from Italy. As I've lost interest in Rhapsody with their last release, it's nice for a surprise like this to fall in my lap. I've found that many startup metal bands from Italy are sorely lacking in the lead vocalist department as well as the production and overall sound quality. Fortunately, Unicorn is an exception to both of those observations. The vocalist fits the typical mold for a power metal vocalist. He has a clean, soaring delivery, yet he adds colorful emotion to the songs with his voice. In addition to an emotional voice, Axa carries a melody very well which is a perfect fit for the band's music. He doesn't try to get ahead of himself by trying to hit notes above his range. This is evidenced by the cover of Helloween's Eagle Fly Free. Instead of going for the highest notes that Michael Kiske used to belt out, some harmony vocals are used instead. Despite this, Axa's displays an impressive range on this album. While singing in the higher octaves, he maintains his power, managing not to sound thin or strained at all. The music itself is diverse and chock full of infectious melodies and memorable compositions. Roughly half the album is made up of up tempo power metal anthems, with the balance of the album taken up by mid tempo numbers, and an instrumental. 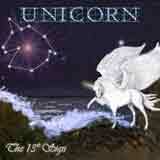 As I mentioned before, Unicorn employs some excellent symphonic arrangements on this album. In fact, that's probably the bread and butter of this band; what really gives them a much needed identity in this crowded genre. Unlike countrymen Rhapsody, Unicorn does not go over the top with their symphonic elements. If you can picture a mix between Master of the Rings era Helloween and Fairyland, you'll have a rough idea of where Unicorn sits. Uptempo tracks such as Avylonia and One In A Million contain majestic harmony vocals and just the right amount of keyboard and symphonic elements to create well balanced songs. Still, strong riffing and classy guitar solos forms the backbone of the songs. Mid tempo cuts such as Fight for the Wings and Waiting For easily make up for a lack of speed by creating an atmosphere that brings the listener into their world. In particular, Waiting For refuses to bore me no matter how many times I listen to it. You won't break your neck head banging to this tune, but the songwriting is such that it allows you to forget about life for a minute and just focus on the music at hand. That sums up what I really like about this band. While the name might lead you to believe that this is a generic band, the guys have a knack for writing interesting songs that you can really sink your teeth into. Unicorn weren't satisfied to just base their music around a bunch of catchy melodies. Once the album concludes, I do feel that something is missing. Of the ten tracks, one is a typical introduction, one is an instrumental (albeit a good one; Dance of Passion), one is a not so memorable ballad, and another is a cover tune (Eagle Fly Free). That leaves only six tracks that make up the meat of this album. I do find that a bit short. Another up tempo track and maybe another mid tempo track would have really made this a complete album. Elysian Fields is the ballad that I just referred to. While it does get better as it progresses, the 8+ minute running time is just too much. The first half of the song is boring and uneventful, but some dynamic symphonic elements during the last half of the song make it salvageable. Eagle Fly Free stays almost spot on to the original. Maybe it's just me, but I don't really see the point of including cover tunes on an album unless you're going to personalize it. Metallizing non metal tunes is always interesting, but "tribute" songs like this are never better than the original, and really have nothing to offer when they are exact copies of the original. Aside from these comments, I find tremendous potential with the rest of what I've heard on this album. The songwriting is just superb. For the 6 standout tracks of the album, I hope that they can maintain this level of quality for a longer duration with their next album. If they can do that, I'm sure this band will quickly gain a following in the near future. Until then, I will continue to enjoy this highly respectable start to the Unicorn's career.